Federal CMS Self-Disclosure Lawyers - Oberheiden, P.C. and Human Services (HHS) has established a process for health care providers to voluntarily identify, disclose, and resolve instances of potential fraud involving the Federal health care programs. This process is called the Provider Self-Disclosure Protocol (the SDP). The SDP provides guidance on how to investigate potentially fraudulent conduct, quantify damages, and report it to OIG to resolve the provider’s liability. SDP eligibility extends to all health care providers, suppliers, or other individuals or entities who are subject to OIG’s CMP authorities (see 42 C.F.R. Part 1003) and is not limited to any particular industry, medical specialty, or type of service. Parties already subject to a Government investigation, audit or other oversight activity may be eligible to use the SDP. The disclosure must be made in good faith and cannot be used as an attempt to circumvent any ongoing inquiry. Even parties under a Corporate Integrity Agreement (CIA) with OIG may use the SDP in addition to making any reports required under the CIA. The SDP should not be used in situations exclusively involving overpayments or errors. The SDP also is not the proper vehicle for requesting an opinion from OIG regarding whether an actual or potential violation has occurred. It is important to consult an experienced health care law practitioner to determine whether your situation qualifies for the SDP process before making a disclosure. The name, address, type of health care provider, provider identification number(s), and tax identification number(s) of the disclosing party and the Government payors (including Medicare contractors) to which the disclosing party submits claims or a statement that the disclosing party does not submit claims. 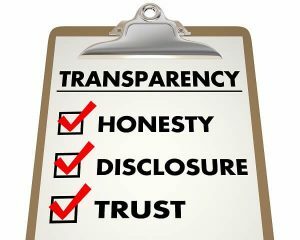 If the disclosing party is an entity that is owned or controlled by or is otherwise part of a system or network, an organizational chart, a description or diagram describing the pertinent relationships; the names and addresses of any related entities; and any affected corporate divisions, departments, or branches. The name, street address, phone number, and email address of the disclosing party’s designated representative for purposes of the voluntary disclosure. A concise statement of all details relevant to the conduct disclosed, including, at minimum, the types of claims, transactions, or other conduct giving rise to the matter; the period during which the conduct occurred; and the names of entities and individuals believed to be implicated, including an explanation of their roles in the matter. A statement of the Federal criminal, civil, or administrative laws that are potentially violated by the disclosed conduct. The Federal health care programs affected by the disclosed conduct. An estimate of the damages (or, when feasible, an accounting of actual damages) to each Federal health care program relevant to the disclosed conduct, or a certification that the estimate will be completed and submitted to OIG within 90 days of the date of submission. A description of the disclosing party’s corrective action upon discovery of the conduct. A statement of whether the disclosing party has knowledge that the matter is under current inquiry by a Government agency or contractor. If the disclosing party has knowledge of a pending inquiry, it must identify any involved Government entity and its individual representatives. The disclosing party must also disclose whether it is under investigation or other inquiry for any other matters relating to a Federal health care program and provide similar information relating to those other matters. The name of an individual authorized to enter into a settlement agreement on behalf of the disclosing party. A certification by the disclosing party, or, in the case of an entity, an authorized representative on behalf of the disclosing party, stating that to the best of the individual’s knowledge, the submission contains truthful information and is based on a good faith effort to bring the matter to the Government’s attention for the purpose of resolving potential liability to the Government and to assist OIG in its resolution of the disclosed matter. In addition to providing the general information required above, certain disclosures require inclusion of further information. For example, in the instance of a disclosure for having employed an excluded person, the disclosing party must also provide information about the identity of the excluded individual, his or her job duties, and other details. When a disclosure involves the submission of improper claims to Federal health care programs, the disclosing party must conduct a review to estimate the improper claim amount (i.e., damages) and report details about its findings. OIG also outlines precise guidelines for submissions relating to potential violations of the Anti-Kickback Statute (AKS) and Physician Self-Referral Law. Importantly, any submission of this nature must include a clear acknowledgment that the disclosed arrangement constitutes a potential violation of the AKS and, if applicable, the Stark Law. OIG requires a minimum settlement amount to resolve matters using the SDP. For kickback-related submissions accepted to the SDP, a $50,000 settlement threshold applies. For all other matters accepted into the SDP, a $10,000 settlement minimum applies. OIG does not demand an admission of liability in settlement agreements reached under the SDP process. Upon completion of the process, disclosing parties should expect, however, to pay above single damages for conduct reported. OIG’s general practice is to require that the disclosing party pay at least 1.5 times the single damages owed for the potentially fraudulent conduct. In some instances, OIG may determine that a higher multiplier is appropriate. If you are facing license revocation or suspension or if the board investigates you, you should contact one of our attorneys immediately for a free and confidential assessment today. Similarly, if you were disbarred or suspended, by CMS or your professional board, you need to understand that this is not the end of your career. Get our advice, benefit from our experience today. Here is a small excerpt of our many successful representations of physicians, dentists, psychologists, and nurses. Client was convicted of Medicare Fraud (while under the care of another law firm) and sought removal from the CMS Exclusion List. We assisted with the removal process and convinced CMS to grant our request. Our client is now practicing medicine again. Client was convicted of Medicaid Fraud (while under the care of another law firm) and sought removal from the CMS Exclusion List. We assisted with the removal process and convinced CMS to grant our request. Our client is now practicing medicine again. Client engaged us to represent her in an OIG and board investigation. Client had prior reprimand and the federal government and the board called for a license revocation. We conducted a comprehensive analysis, identified a reputable expert, and successfully defended our client. Client continues to practice— free of restrictions and without board action. Client contacted us when she received notice that the nursing board initiated a license revocation proceeding due to prescription abuse. We intervened and convinced the nursing board to not revoke, not suspend, and not reprimand our client. Our client continues to practice medicine without restrictions. Client contacted us in reasonable fear that her employer would report her to the nursing board for certain misconduct. We took on the representation, conduct a profound compliance analysis, and resolved matters with our client’s employer and the board. Client contacted us in reasonable fear that she would be reported to the nursing board for certain misconduct. We took on the representation, conduct a profound compliance analysis, and resolved matters with the professional board. Client continues to practice without restrictions. Why Do Clients Trust Oberheiden, P.C.? We experience great satisfaction from the fact that so many clients choose our firm when they face a federal investigation. None of this happens by accident, of course. Below are some of the reasons why our clients trust the experienced team at Oberheiden, P.C.. The federal legal system is very different from the various state legal systems, and the practice experience that our attorneys enjoy at the federal level can be measured in decades. If you have become the target of an investigation, we can intervene decisively on your behalf. We are also capable of successfully resolving non-contentious matters such as regulatory compliance advice. You never fully understand a case until you see it from both sides. Unfortunately for most law firms, this broad perspective is simply unavailable. It is available to us, however, because several of our most prominent lawyers were successful federal prosecutors before they joined Oberheiden, P.C.. This resource gives us the ability to “get inside the heads” of federal investigators and prosecutors, and to anticipate their next move. Our attorneys have successfully dismissed indictments, avoided criminal charges, won acquittals, saved professional licenses, and won jury trials. It is not at all unusual for one of our clients to be shocked when we announce that no civil or criminal liability will be assessed. With so much at stake, you cannot afford to settle for anything less than a successful track record. If you are facing a federal investigation, the government won’t settle for assigning a single lawyer to your case. Instead, it will exploit its vast resources by assigning a team of investigators, federal agents, and prosecutors to hound you. To fight back, you’re going to need a team of your own. Not a group of independent individuals, but a team. At Oberheiden, P.C., teamwork is our stock in trade. We know full well how an intrusive and burdensome federal investigation can affect you, your family, and your business. We hate bullies, and we stand up and push back when the government tries to bully our clients. When you choose Oberheiden, P.C., you can rest assured that we will work relentlessly to secure a prompt and cost-effective outcome that optimizes your best interests. Oberheiden, P.C. combines the government experience of former federal health care prosecutors and the industry experience of veteran health care defense attorneys to assist clients throughout the United States with CMS and OIG proceedings. Our representations include cases involving Medicare/Medicaid (or Medi-Cal) fraud as well as other health care cases including Tricare fraud, Department of Labor fraud, Stark Law violations, Anti-Kickback Statute violations, and False Claims Act violations. Contact our offices to schedule a free consultation. At Oberheiden, P.C., we understand that your license is your livelihood. Nurses, physicians, dentists, and mental health providers from across the United States trust us to protect or restore their CMS and licensing privileges. Call us today for a free and confidential consultation and find out how our experienced attorneys can help you, too.